With 2019 just around the corner, many people (including ourselves!) are updating their travel bucket list. If you haven’t made it to Europe just yet and need some extra inspiration, here are our favourite European countries you absolutely have to visit and the food you have to eat along the way. Grab a cuppa and your bucket list - this one is a long one! Portugal is one of those European cities with an unexpectedly rich history that’s just waiting to be explored. Did you know that it’s one of the oldest European countries and Lisbon is actually older than Rome? From being a popular destination for surfers to having one of the best wines ever, there’s a lot to explore in between. Some of the best cities to visit in Portugal include Lisbon, Porto, Sintra, and Braga. You absolutely have to experience at least one seafood dish while you’re out there, visit the gorgeous Pena Palace in Sintra, and walk around the charming neighbourhood of Alfama in Lisbon. 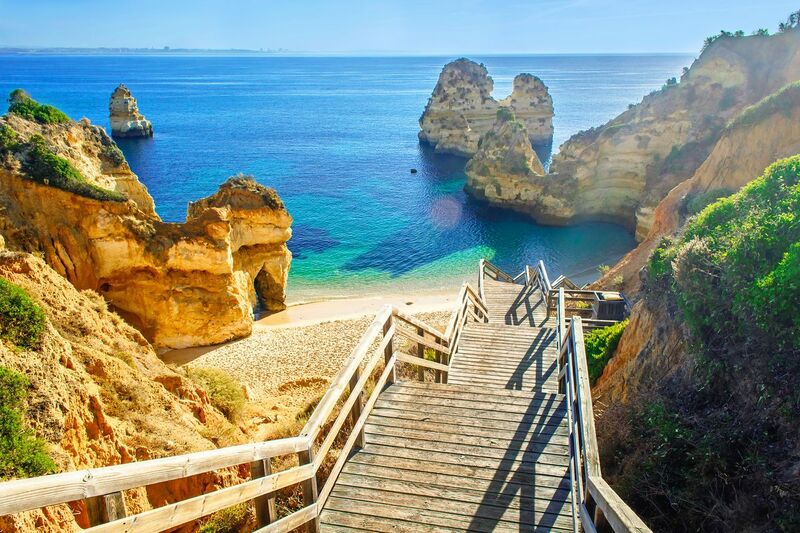 If you’re the beach type, you should check out beach and surf spot areas around the country such as Sagres, Albufeira, Algarve, or Praia da Rocha for some peace and quiet. 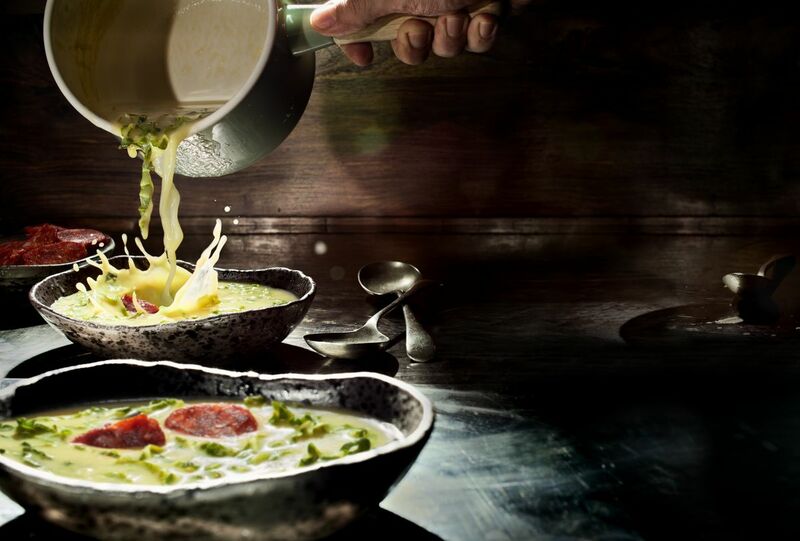 Starting with a popular Portuguese soup, Caldo Verde is the one to warm up your soul. It’s made of potatoes, a bunch of greens, olive oil, and salt, and it’s considered to be a national dish. You might find a bunch of other ingredients in Caldo Verde such as garlic, onions, or even topped up with chorizo. Cozido is basically Portuguese stew. The best part about this dish is that its ingredients differ on the region, but you can normally taste potatoes, different types of meat, and plenty of vegetables. There are many ways to prepare Bacalhau (aka cod fish), so its taste might differ depending on the time of visit. 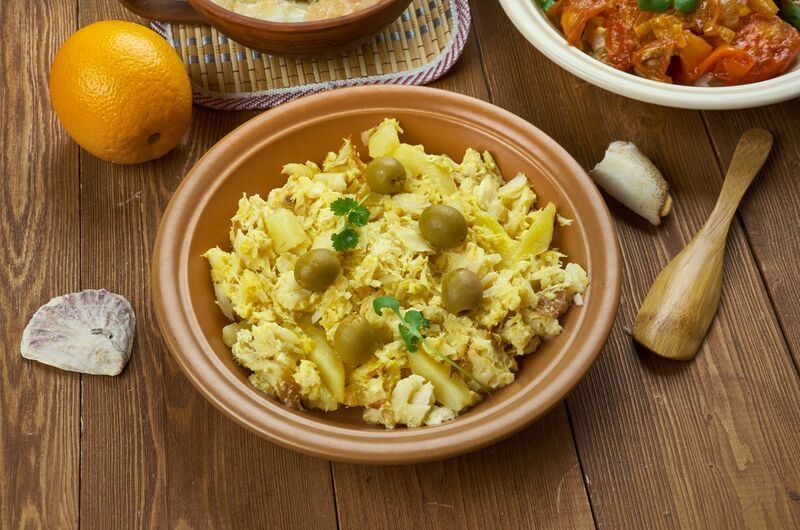 Bacalhau is traditionally served with potatoes and veggies, however, you can find a hundred and one recipes using different methods of preparation of those potatoes and veggies. And the taste can change every single time! Seafood is a must-try in Portugal so a delicacy like snails is the one you have to experience. They taste a lot like mushrooms and honestly, they’re nowhere near as bad as they seem! Portugal comes with plenty of drinks you have to try but if you were to put one on your must-drink list it has to be Medronho. It’s a spirit made of the berries coming from the strawberry tree. But don’t undermine it - it holds a lot of kick to it that will definitely put you in a cheery mood. Most people probably know only a few sentences in French and one of them comes from the “Lady Marmalade” song. You’re probably better off not saying that anywhere in France. But what you should do is check out some of the other cities outside of Paris! Our favourites include Lyon, Marseille, Nice, and Toulouse. Each come with a unique history and you absolutely should spend a few days in every city if possible. France is one of the most Instagrammable countries in the world, especially once you step out of the big cities - so make sure you indulge in the countryside as much as possible. 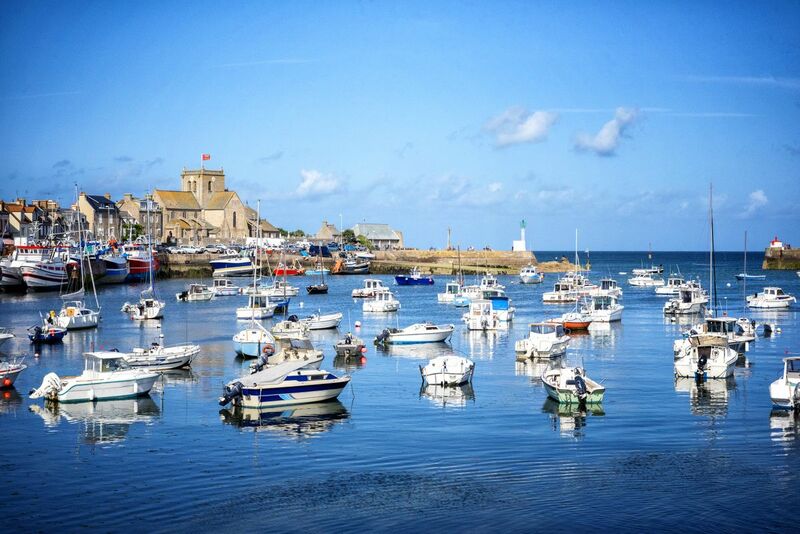 For more scenic landscapes, we recommend villages such as Port Grimaud, Cassel, Barfleur, Roussillon. The beauty of this country is that scenic areas can be found wherever you go - just take a day trip and see what’s out there! This luxury dish is a must-try if you’re visiting France during winter holidays. It’s basically duck liver, normally served as a mousse or parfait. There’s a lot of controversy surrounding foie gras from animal rights perspective, so while some might want to indulge in this expensive tradition, we understand why people would opt out for another dish. 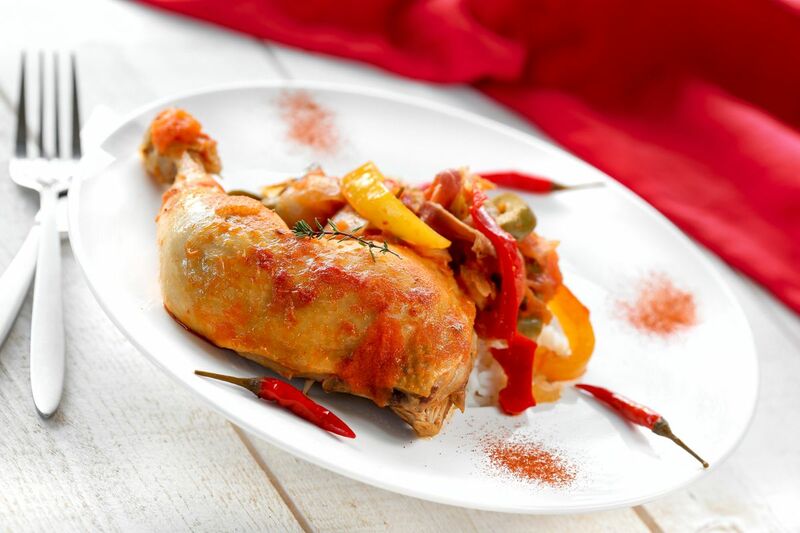 Poulet Basquaise is one of those dishes that will definitely taste like home. It’s one of the most popular French recipes and as you might have guessed, it consists of chicken, rice, and veggies. A classic, but a must-try! The right type of cassoulet (aka stew) is extremely rich, so if you think you should pass on this dish just because you’ve had it before, put it back on your list. Consisting of beans and meat, it’s all about the cooking technique with this one - and trust us, the French know how to cook it extremely well. 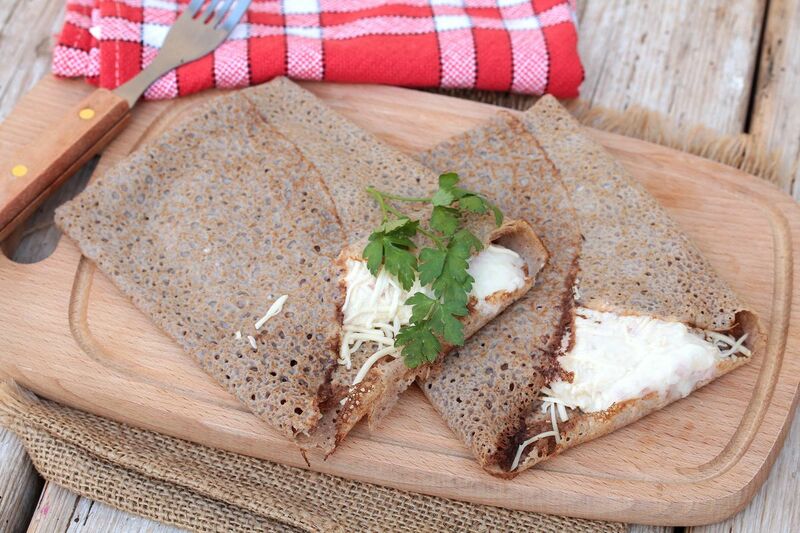 Buckwheat crepes. Trust us on this one. They might seem like they're just another version of basic pancakes their taste greatly varies depending on the region. One thing to remember is that France is big - if you’re looking to really experience the country in the best way possible, we recommend exploring it for at least a couple of weeks. Better yet - try moving there for a couple of months! We can guarantee that you’ll end up falling head over heels for this country. Austria might not be on your list, but hopefully these visuals will change your mind. Although it may seem like it’s a tiny country, don’t be fooled - Austria comes with a lot of rich history, good food, and amazing places that will blow your mind. We recommend starting off in Vienna, a classic that’s absolutely magical during winter holidays. If you’re a fan of “The Sound of Music”, you should definitely add Salzburg on your list and take a tour to experience the life of the Von Trapp family. And if you love skiing or snowboarding, you have to check out Innsbruck! Hallstat might be small, but it’s one of the most photographed village in the country. 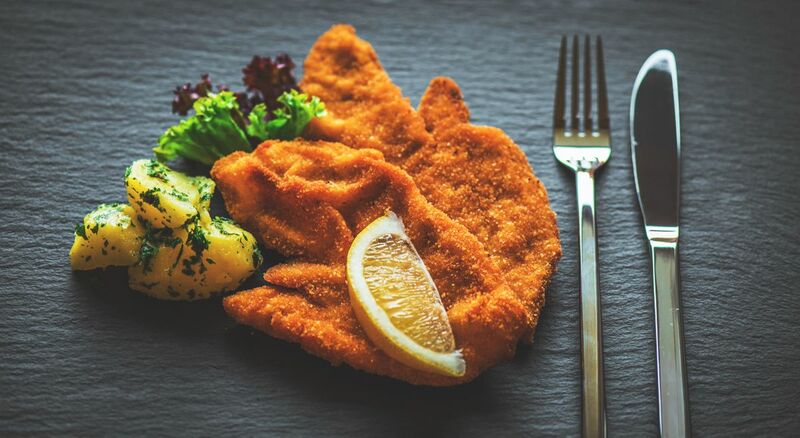 From gorgeous landmarks to hearty food that will make your soul happy, Austria has a lot to offer! This is probably the most ordered food in Austria. It’s made of different types of meat and it’s usually breaded and then pan-fried. Seriously, this one will make you come back for more and more. If you’ve never tasted strudel before, Austria is the perfect place to do it. Filled with apples and cinnamon, the apfelstrudel became a popular pastry dish in several European countries outside of Austria. And honestly, it’s absolutely addictive. 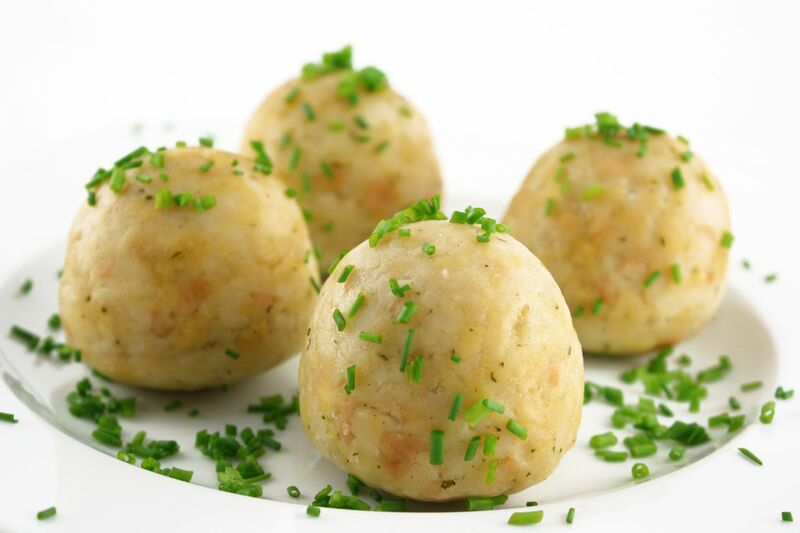 Knödel are potato dumplings, sometimes paired with bread and many other ingredients depending on the region. They’re mostly served as a side dish, however, you can also find several variations where sweet ingredients are used to turn them into a popular dessert. Speaking of potatoes, if you’re visiting Austria in winter, you might want to indulge in potato goulash. Consisting of, of course, potatoes, this dish is combined with various veggies and it almost resembles a stew. It’s the perfect dish on a cold day! When it comes to Croatia, most people think of “Game of Thrones.” While that’s definitely a good reason to visit this beautiful country, you should also explore beyond the city of Dubrovnik. Coming with a long and painful history, Croatia made itself known in the world through its beautiful landscapes, talented sports teams, and delicious food. Along with Dubrovnik, some Croatian cities you should visit include Zagreb, Split, Zadar, and Rijeka. If you’re looking to explore the islands, we recommend Krk, Rab, Hvar, and Korcula. You also should add to your list iconic places such as Plitvice Lakes, and make sure you take the cable car and see what Dubrovnik looks like from above. 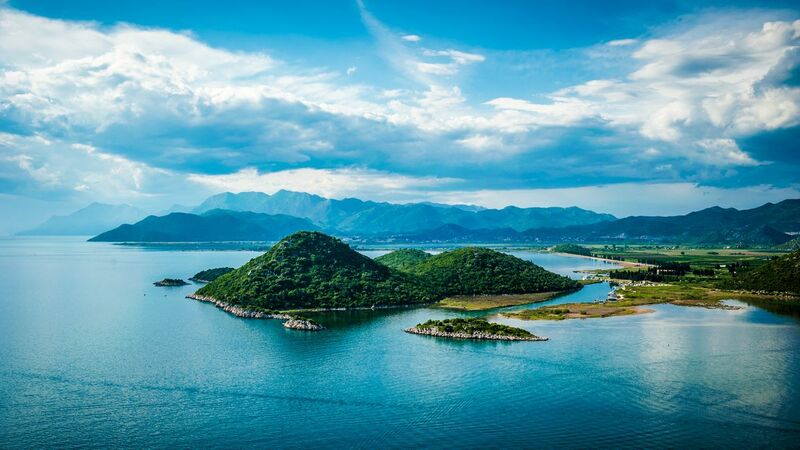 As Croatia is pretty big, we recommend starting by the seaside - there’s plenty to explore in this beautiful country! Boskarin is a type of an ox, known as the national symbol of Istria. Meat used with this animal is considered to be a delicacy and a must-try if you’re looking to expand your taste buds. Now this is the dish I always recommend people to try when they visit Croatia or Serbia. 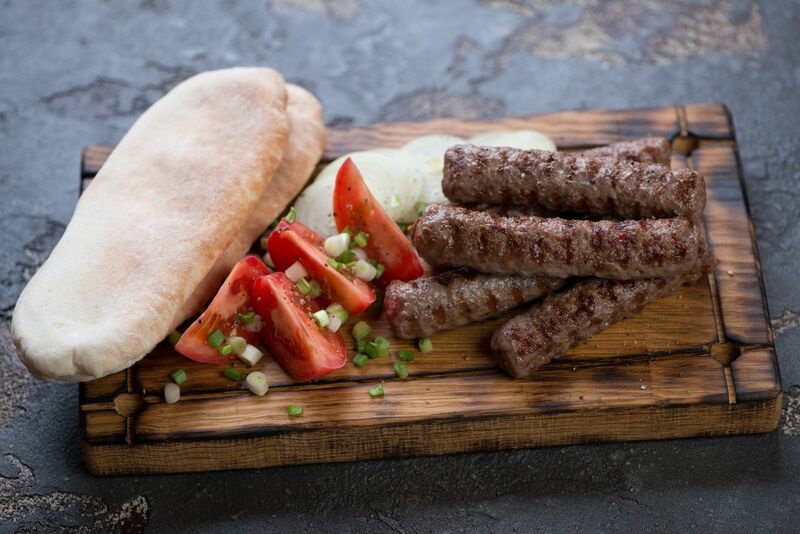 Made from minced meat and a touch of a secret ingredient (rumor has it that it’s beer), cevapcici can be served on its own or even in a sandwich. You can either get it in a restaurant, or you can find it sold as street food. Known as Croatian shrimp, Buzara can be found in most seaside cities across the country. It’s basically shrimp stew, complete with veggies and white wine. Absolutely delicious! Outside of Dublin, Ireland is often overlooked by travellers. Did you know that Dublin has islands? 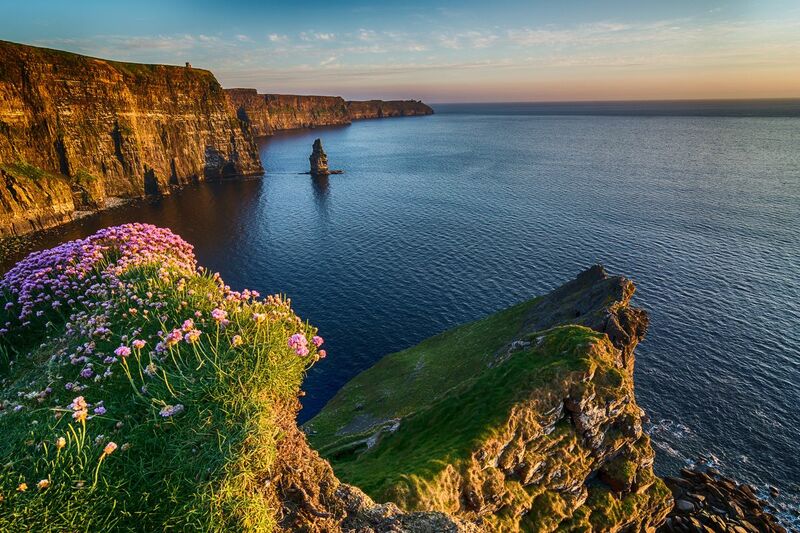 Or that you can take some of the most picturesque walks along some of the most beautiful cliffs such as the Cliffs of Moher while you’re there? Not to mention it’s totally Instagrammable! Popular Irish cities include Dublin, Galway, Belfast, and Waterford, and they’re each worthy of a visit. Of course, you can also find plenty of other smaller cities as well as villages that will change the way you see this beautiful country. From castles to ridiculously gorgeous landscape views, Ireland has it all and it’s waiting for you to explore it! Soda bread is a classic with many different versions existing in family recipes. It’s essentially made of baking soda, buttermilk, and flour. Don’t knock it ‘til you’ve tried it! Irish stew is easy to make and incredibly hearty to eat. Most stews include potatoes, meat, onions, and in some cases carrots. 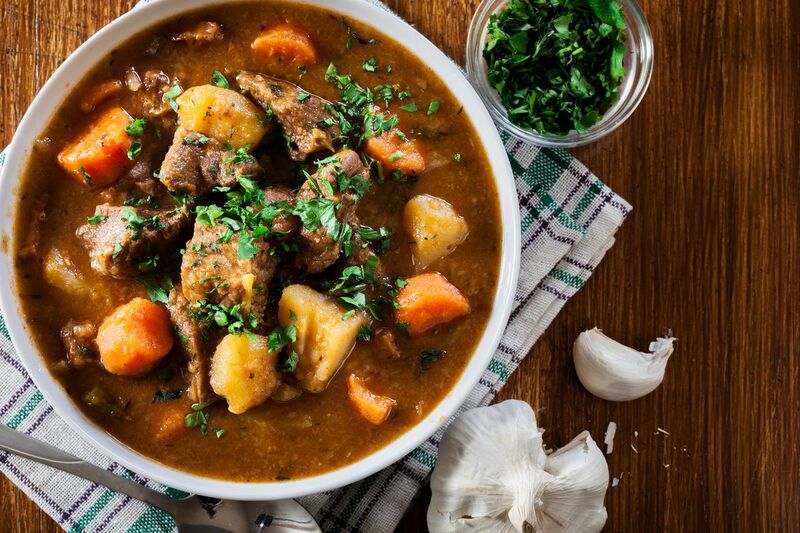 Lamb stew is a preferred choice, however, if you can find a mutton stew, you should definitely try it as it’s considered to be quite rare these days. As you know, Ireland is known for its potato dishes. This one is fairly simple, but a must-try. Mashed potatoes, complete with milk, butter, and spring onions. And last but not least, boxty is just one of those reminders that potatoes can be made in a lot of different ways. 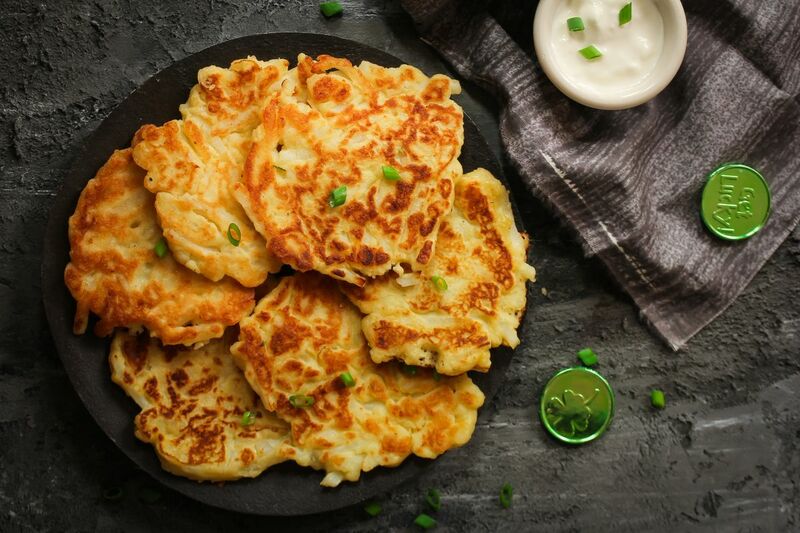 Boxty represents dishes such as potato pancakes, dumplings, bread, you name it. It’s a perfect breakfast for any potato lover! That's our choice of 5 European countries you have to visit and food you have to try! What's yours? Let us know in the comments below! London vs Dublin: Which is Better?